Taking a group of 3 strands, hook yarn with your crochet hook in the middle of the 6 inch strands. 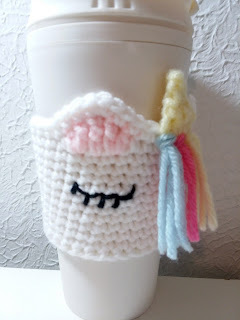 Pull through the backside of a stitch at the base of the horn. Now grab the ends of the yarn (you should have 6) and pull them through the loop. Trim the mane to your desired length. Using a tapestry needle and crochet thread of a thinner black yarn (ie. light worsted or sport weight), stitch the eyes below each ear between rounds 7 and 8. Wow, so cute! I will make this for myself. 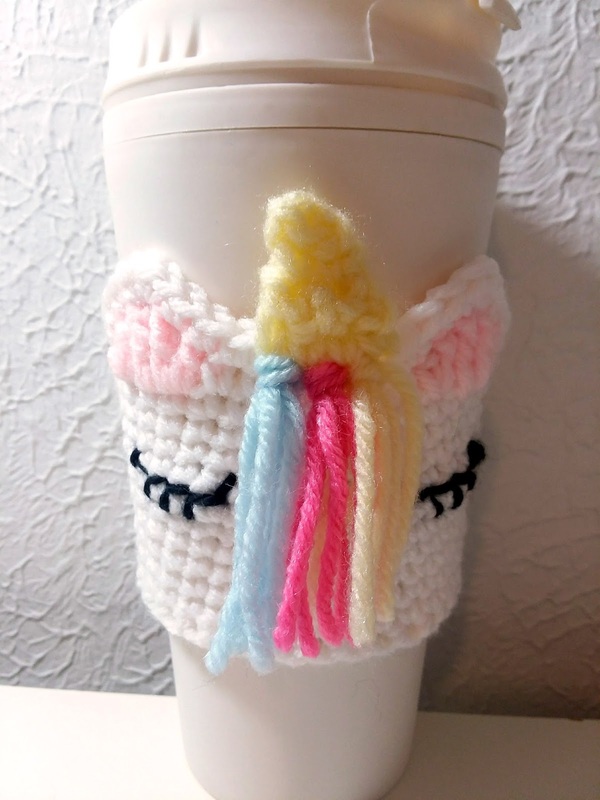 Handmade reusable cup cozies make great gifts for friends, family, but mostly its a great gift for the environment. 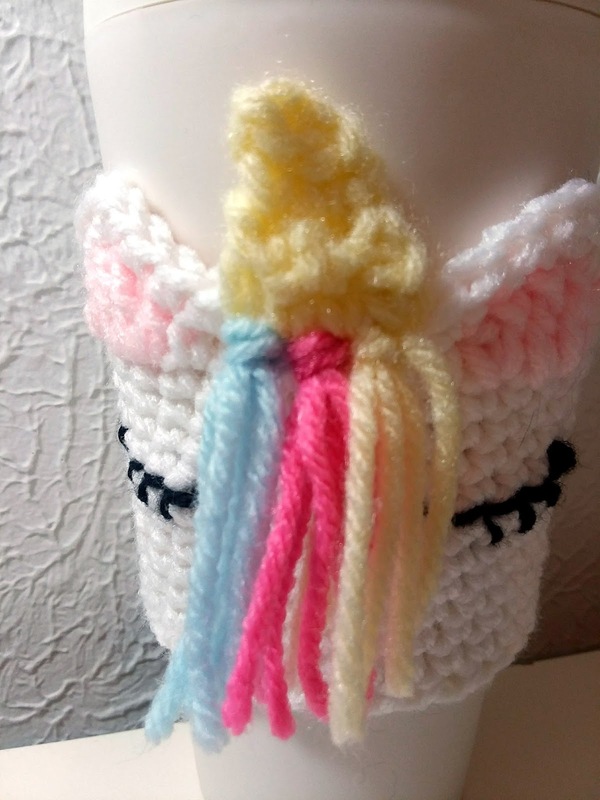 I will post my project on Ravelry when completed. Thank you for sharing this cute pattern!